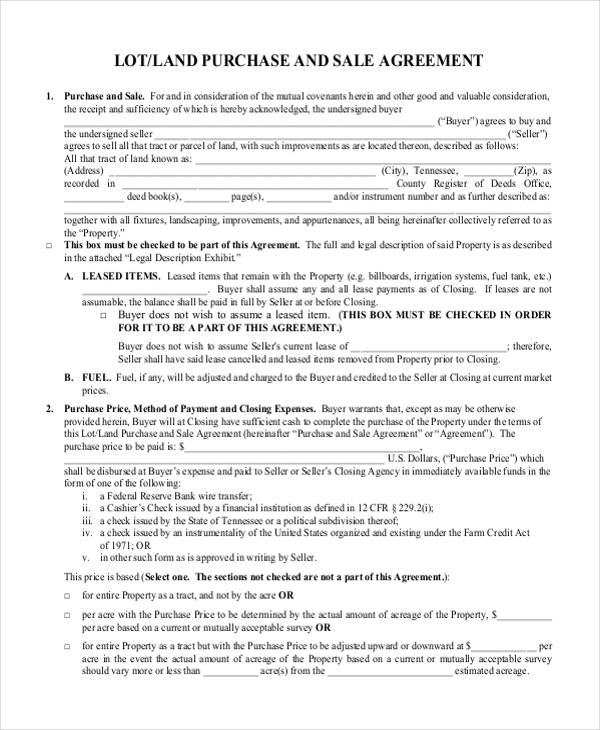 This form is used by the buyer and the seller of a property to enter into a legal contract over the transfer of ownership. This form works fine for all properties, irrespective of whether the property is a residential or commercial. 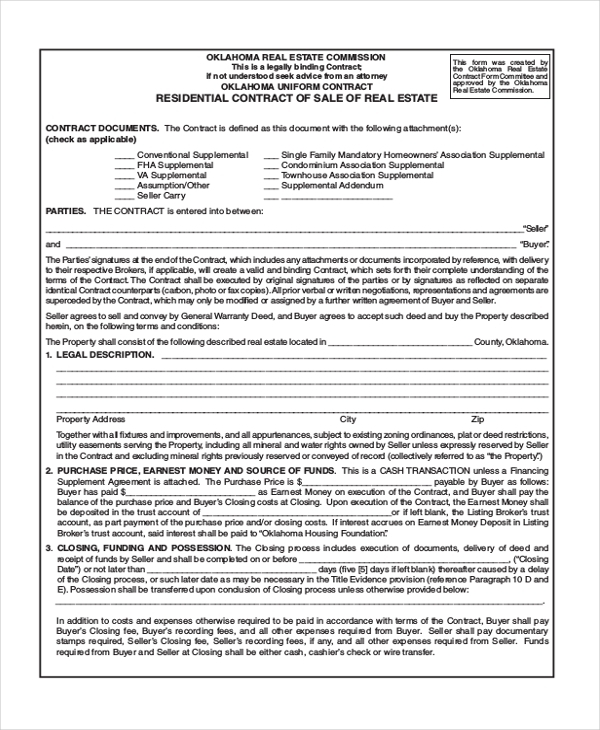 This is a standard format of the land purchase and sales agreement form. It comprises of all the important segments and content that should be an essential part of such a form. It can be further customized as per the needs of the parties involved. 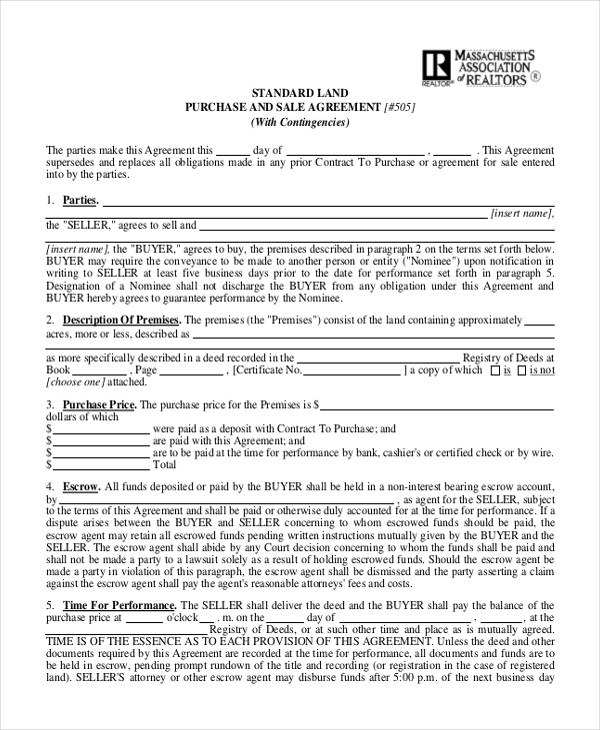 When the buyer and the seller after negotiating the clauses of the contract and price, finally come to an agreement, they are required to sign this contract to make the transaction legal. 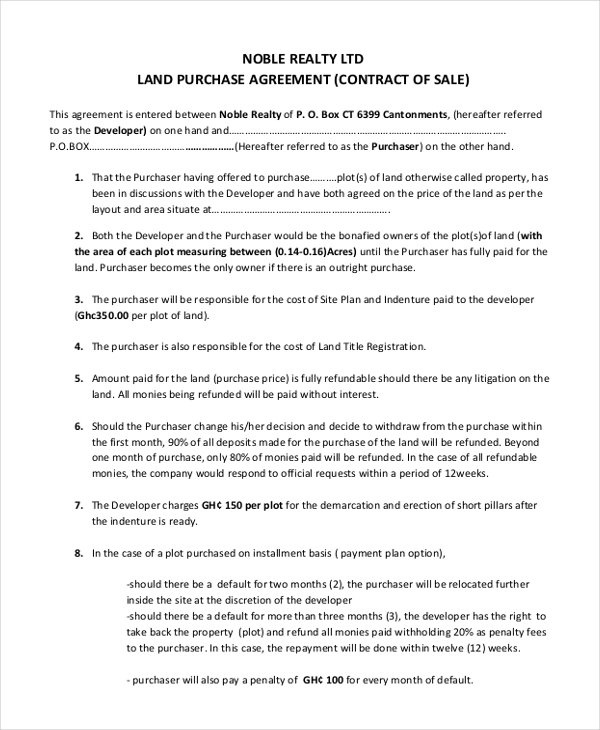 This land purchase agreement form is used when the buyer and the seller agree to carry forward with the transaction based on the clauses decided by them on mutual consent. Signing this agreement legalizes the sales transaction. 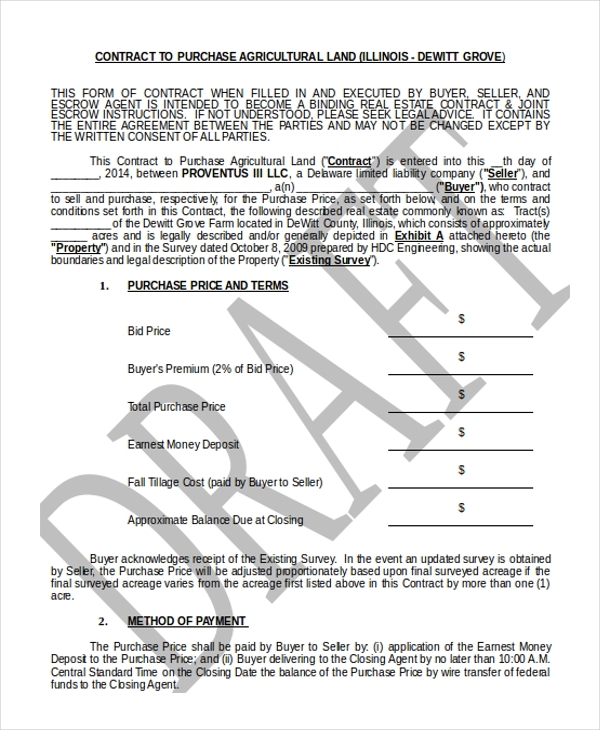 As the name indicates, this contract is signed when an agricultural land is being sold. It comprises of the details of the parties along with the installment details and other important clauses that the parties need to follow. When the land comes with some equipment which the seller leases out to the buyer, in such cases the two parties sign a lot/land purchase and sale agreement form. This comprises of the installment and lease details. When the parties involved are entering an agreement to transfer the ownership or a residential income property like an apartment or a villa, in such cases this contract is used to legalize the proceedings. He would want this contract form to ensure that the installment details are followed as per agreed at the time of purchase. The seller would use this form to ensure that the buyer pays the installments on time and sticks to the clauses agreed upon. A real estate agent who plays a middle man in a land buying and selling transaction would use this to ensure that all the clauses agreed upon by the parties concerned are properly defined in a legal document. 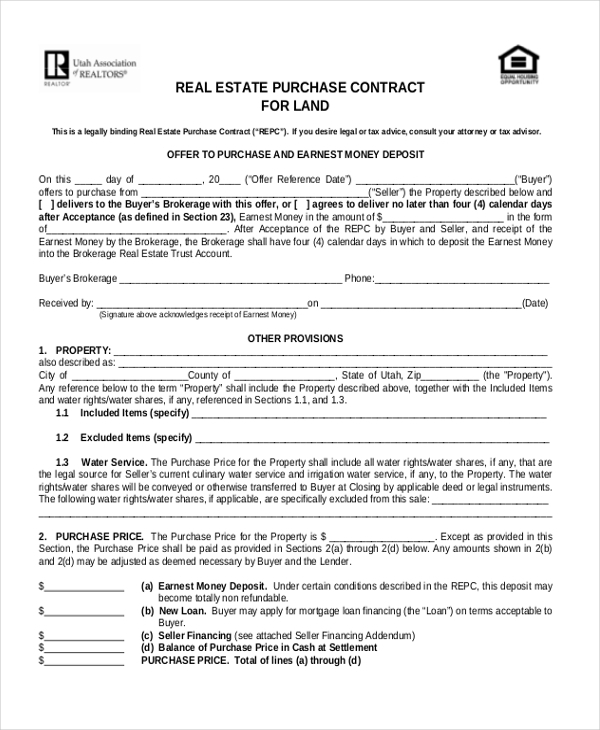 Why should you Use a Land Purchase Agreement Form? What are the Benefits of Using a Land Purchase Agreement Form? One of the biggest benefits of buying a land using the land purchase agreement form is that the buyer can purchase the land on credit and then pay the seller in installments. Signing the contract would mean that both the parties can be assured that the other would keep his or her side of the agreement. Using this agreement form, the parties can add in details of the payments and other clauses as per their convenience and preference. 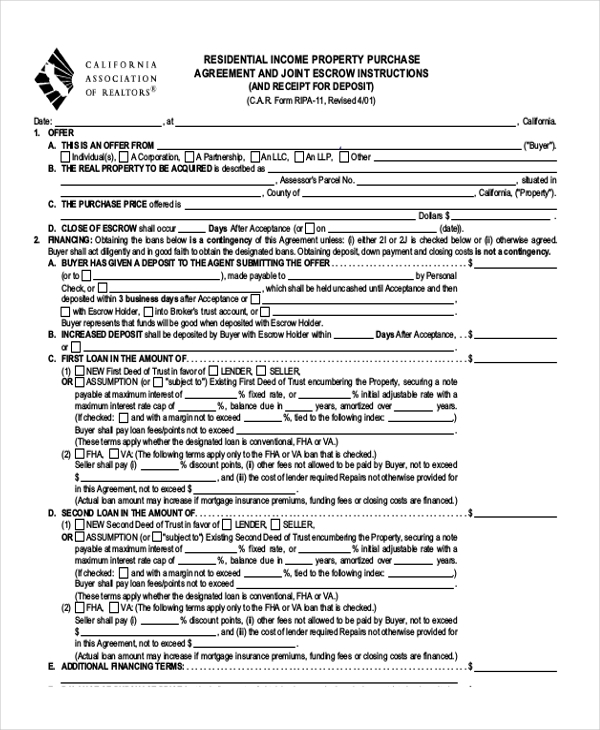 This form is considered to be a valid proof in the court, which is why it may be useful of altercations and legal hassles between the parties. How can you Draft a Land Purchase Agreement Form? Land purchase agreement forms are extremely crucial in a transaction that involves the ownership of property. These should be drafted with care and should contain all the important terms and details of the agreement. Thanks to these being readily available online, drafting such forms do not require any legal assistance. All you need to do is download the form and then customize it with all the important information.